What would you say if someone claims to be able to ensure and deliver up to 52 languages into your pocket? That it’s a utopia? Because there is no one in the world who speaks up to 52 languages. We are proud to introduce you a little miracle – LANGIE pocket translator! Do you like traveling, but you are nervous, that you do not understand the language of the country you are in? So with this device, you will never again be in the stress because you do not know a foreign language. And you do not even have to worry about being uncertain in exotic countries like Malaysia, because the speech is specific and people there do not understand you even if you speak English or German. Our LANGIE translator will take care of everything because it speaks Malaysian language! And it’s so simple. LANGIE is small in size, fits into every handbag or rucksack and is easy to use and easy to understand. 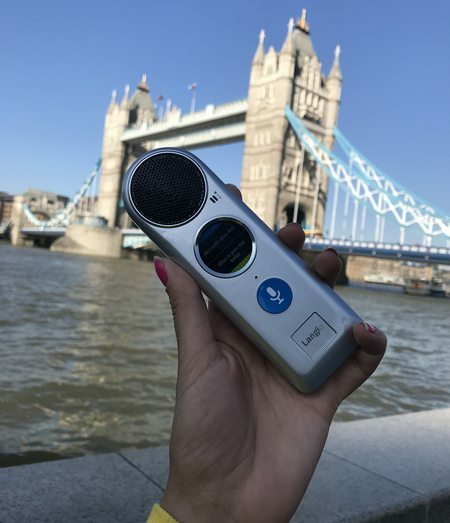 Communication abroad will become just a toy with this unique device. If you choose to travel by airplane, of course you have to pass the airport check-in, boarding the plane, listening to pilots and stewards, and of course, you will come in contact with other travelers, where you probably must speak at least short formal sentences even up to possible a complete conversation. In the land of your mother language it’s easy, you are using your speech… But it will change after landing in the destination country, there will come exam to speak with foreign language. And then you have to draw on your knowledge and speak a foreign language at least so much that you can communicate and understand all the communication. But unless you do not speak perfectly or do not speak any foreign language at all, the LANGIE translator is the right one for you. It is very important that you understand everything thoroughly to avoid any misunderstandings at an airport check-in. You can rely on the perfect LANGIE translation services to keep you prepared in any situation where you need to communicate in foreign language, and even the feared check-in will go well. And now there comes a situation where you will double thank for taking LANGIE translator with you. For most tourists who are not at home in foreign languages and who communicate mainly with their hands and feet, the reception of the hotel or guesthouse is a nightmare. After traveling, you are tired and when you put your suitcase in front of the reception, you hope you will pass it very quickly, because the only thing you need now is room, shower and rest. But there are a lot of questions waiting for you at the reception. Checking your papers, booking, writing… So many questions and answers, you are lucky you have your LANGIE! Just keep communicating in the form of a “question-answer”. With two simple buttons, the entire check at the reception is incredibly fast, and finally you get the key and you can go to the room and relax. And if you are already relaxed enough, you find out that you are hungry and if you are not one of those who immediately after the stay want to discover the surroundings and the sights without food or drink, but you really prefer first to eat, so you look forward a tasty meal in the restaurant or enjoy good pizza or other home specialties. Comfortably sit in a local restaurant or pizzeria, and either open a menu of meals and drinks, or soon the waiter will come and speak to you in their home language. However, in both cases you need to communicate promptly. 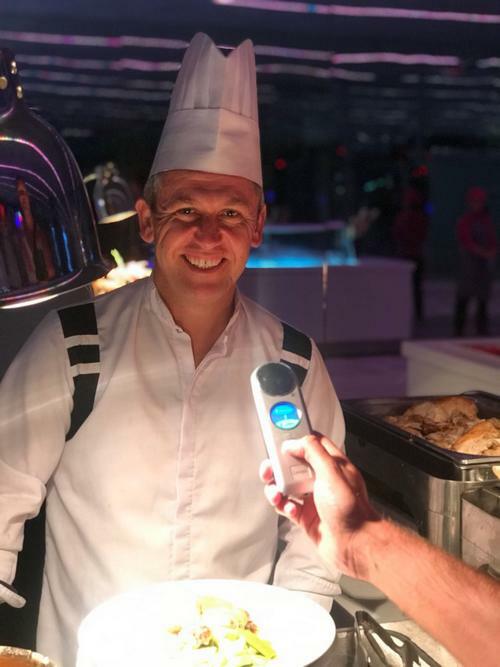 And ordering specialties and other delicacies, pronunciation of individual meals, informing about the state of the food as well as the attentive questions of the waiter, will many times verify the language skills of those who think that they perfectly control their language. And that’s reason why the LANGIE is just right for such situations. 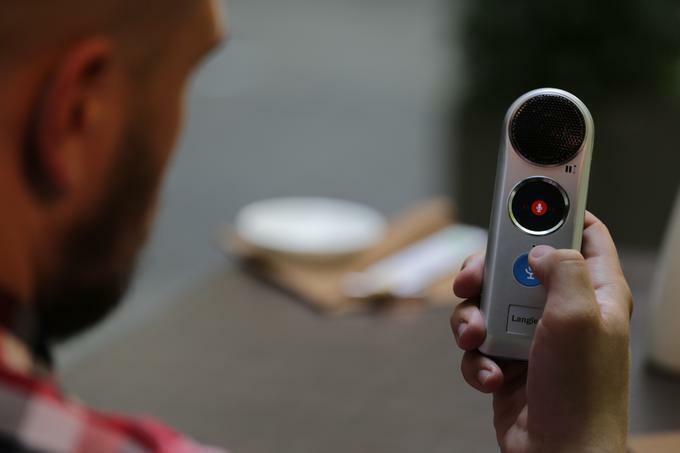 With this little miracle translator LANGIE, you will not be confused by any question of a waiter or assistent in a shop, bar, fast-food or ice cream. LANGIE will make it for you. Just press the first button on the device and enter this sentence into LANGIE: Can you please repeat it again? The device will tell this sentence in the desired foreign language. And you immediately press the second button, and wait for answer. The driver or seller will answer your question in his language, and the LANGIE will immediately translate his words into your language. Yes, it may be also a good form of shopping… But then thea are very unpleasantly surprised when they unpack purchases, because either the goods are inadequate or other than they wanted or it is smaller or bigger than they needed. But it did not have to happen if they were able to ask for the necessary size, quality, quantity or content of packaging, and so on. It did not have to happen if… if they had our great LANGIE translator. 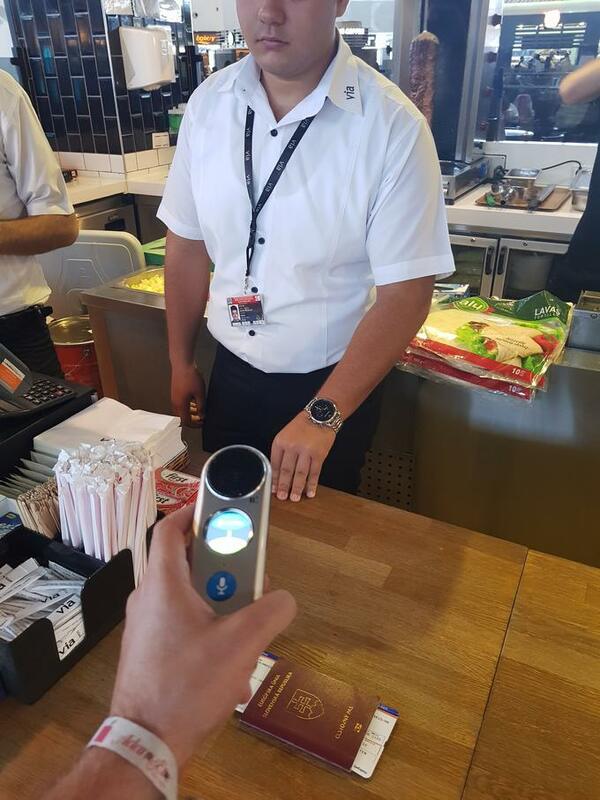 With the same way of using the LANGIE device, as we described in previous restaurant or taxi situations, is enough simply enter your question to the translator and pass the translated version in a foreign language to the shop assistant, and then just wait for the answer translated into your native language. 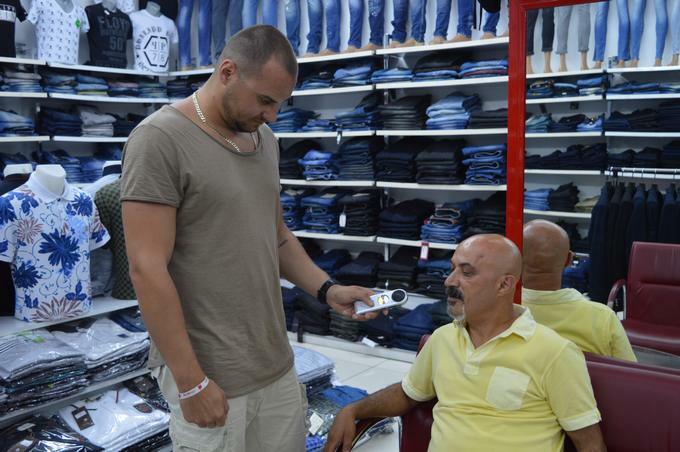 With LANGIE translator, the shopping abroad will be just perfect, and anyone who buys LANGIE will be happy with its services. 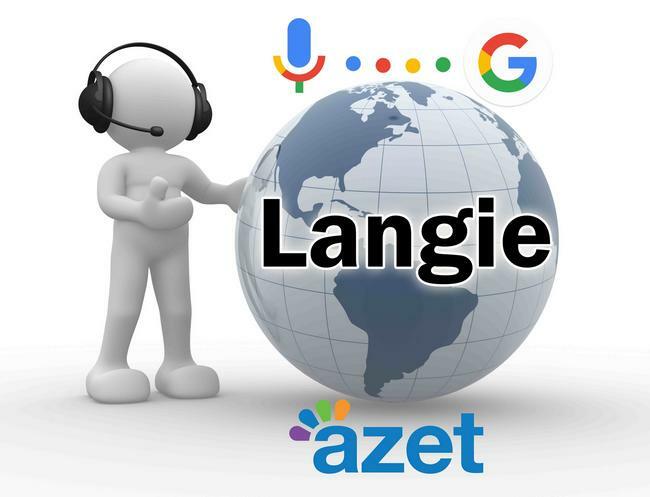 The world’s best two-way voice translator – LANGIE translator also supports English and more 51 languages online, all in sound format and indeed with incredible accuracy of translation! LANGIE is an advanced IT product of the latest generation. In order to achieve the best translation results, it works with 7 online search engines. The manufacturer has more than 20 years of experiences in the education and translation market in various world languages. LANGIE is constantly expanding and updating its OTA database directly to your device, offering you the most effective handheld tool for translation into other languages of nowadays. 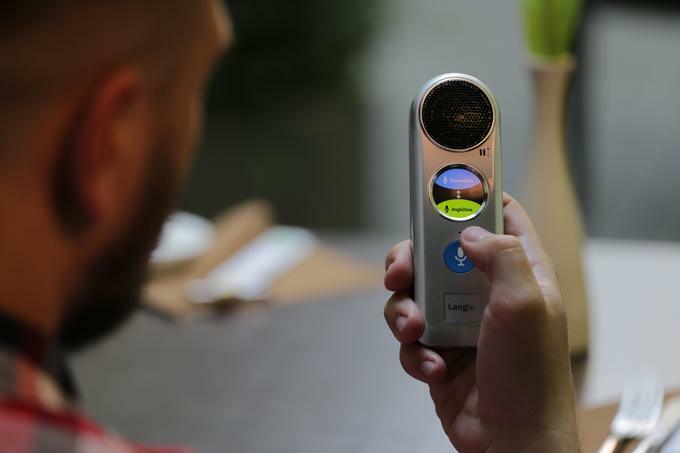 I´m LANGIE translator – take me with you for travel! The distribution of LANGIE is provided by Media Leaders s.r.o., which holds the internationally accredited quality management system certificate EN ISO 9001: 2015. Namestie SNP 16, 974 01 Banska Bystrica, Slovakia.